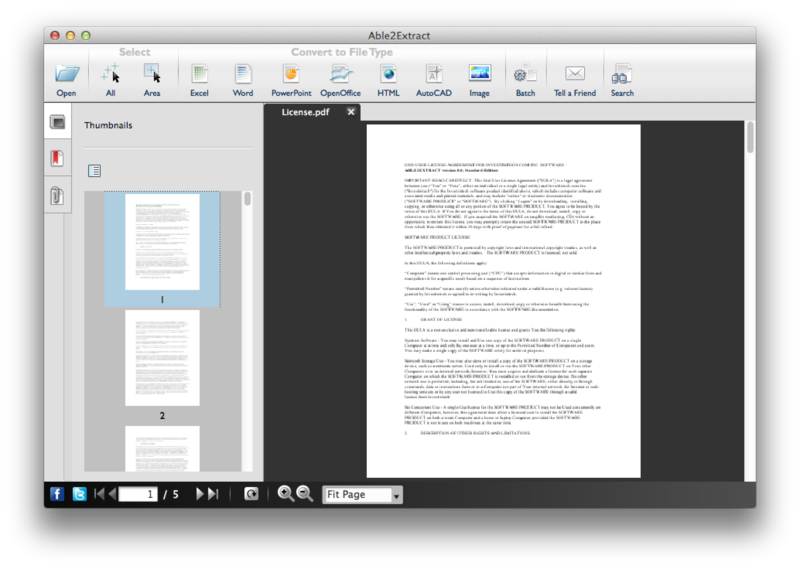 Able2Extract 8 is the first cross platform compatible converter on Windows, Mac and Linux. Able2Extract is a powerful PDF Converter tool that lets users convert their PDF data into formatted MS Excel spreadsheets, editable MS Word documents, Publisher files, forms, powerpoint presentations, Autocad (DWG, DXF), Open Office, image formats (jpeg, bmp, png, tiff, etc. ), HTML and more.